Hey there! Just for fun today I’m getting a little personal. 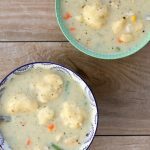 I started my website, 365DaysOfCrockpot.com, 10 years ago this month and I know most all of you have not followed along with my journey the whole time. Maybe none of you. Except my family members. And probably not even them–lol. So for those of you who are new or not so new I’d like to give you a little background on me. As Toby Keith said, “I wanna talk about me!” Just for today, anyway. I grew up in a family where there were 7 girls and NO boys! My dad handled that like a champ!! I was raised in Montana and attended BYU for college where I studied Community Health. My family circa 1983. Missing is my youngest sister, Melanie. Can you guess which one I am? Also what is up with the hair and glasses?! 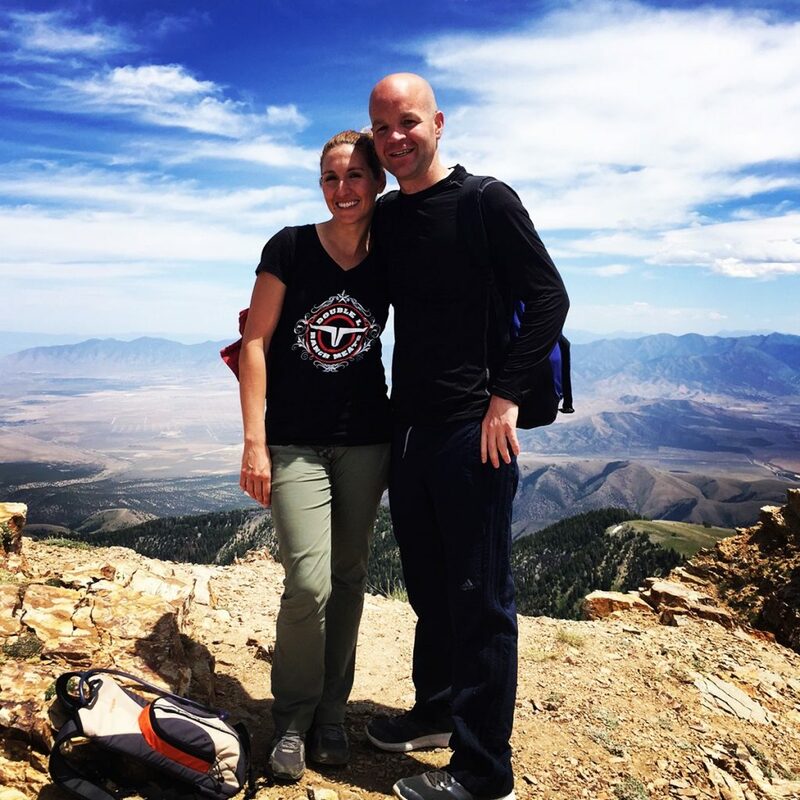 I met my husband at college, and after 6 weeks of dating we were engaged. Crazy, I know! But we are still together and will celebrate 19 years of marriage this year! We have a 13-year-old girl and a 10-year-old boy. 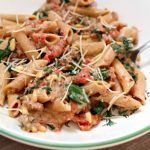 10 years ago, I made the decision to cook in my slow cooker every day for a year and ended up starting a blog with all the recipes I cooked. Some were bad, and some were good. I got some local media attention which led to exposure and a book deal! I have had 3 books published. 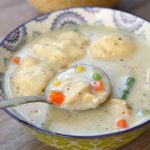 A couple of years ago I decided to focus on Instant Pot recipes in addition to slow cooker recipes. I love my Instant Pot! 10 years later I have hundreds of thousands (sometimes millions) of people coming to my site each month. I owe this success to YOU my loyal readers. 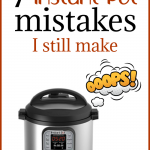 I am pleased to announce I am working on a new Instant Pot book! Hooray, I will keep you in the loop, and let you know when it comes out. If you’d like to be added to an email list to give you updates on the book sign up here! I have a instant pot gem multicooker. It doesn’t have the pressure cooker feature. All of the recipes seem to be for instant pots with the pressure cooker feature. Do you have recipes for the multicooker? I’ve been looking for a cookbook for my instant pot but can’t find one. Do you have one? It’s so fun to read more about you. Based on your family picture, I’m guessing you and I are close to the same age. When were you at BYU? I also majored in Community Health! We might have been there at the same time. I also grew up in a family of all girls (only 6 though!) 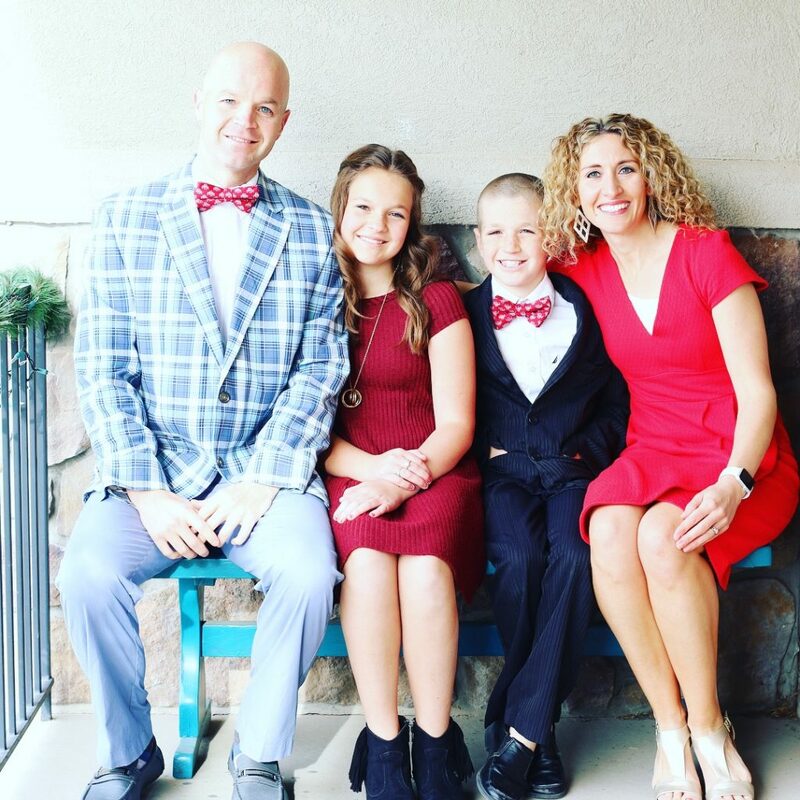 And my husband and I met at BYU and were married just 6 months after meeting and celebrate 19 years this year! We are like twins! I was at BYU from 98 to 02. What about you? That’s exactly the same time that I was at BYU! We were married in August of 2000, and I had our first baby January 2002,and graduated in April 2002. We might have been in some of the same classes! I’m sure we were. Did you have that crazy 9 credit class? Thanks for your blog. You have helped me convert recipes and gain confidence in using a tool my mom told us was dangerous! I use my IP 3-4x week now and share recipes with family & friends often. Bought 3 of my kids an IP, convinced several friends & sister to get one. My sis says I should get paid for promoting them! Keep up the splendid work. Haha! That is great Linda. They are truly amazing! Hello, I’m new to your site. 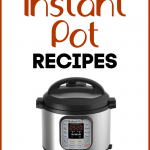 I don’t think that I have ever heard of the Instant Pot. What is it??? The Instant Pot is an electric pressure cooker. It’s like a slow cooker but fast! It is a great tool!! 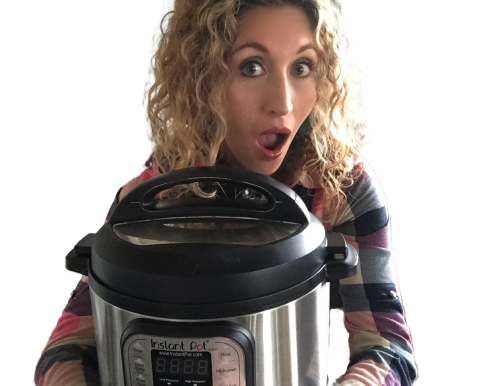 Love my Instant Pot, and love your delicious recipes! Thanks Karen! Discovered your blog a few weeks ago and have tried a few of your recipes. All great so far. I have your beef stew in my insta pot as I write this. Love you blog, recipes and tips. Thanks for doing what you do. I bought 2 IP Duo’s (one 6 for my college-bound daughter and one 8 for me) when Amazon put them on sale last summer. LOVE THEM! I made a point of studying IP use so I could teach my daughter how to use hers to make sure it wasn’t money wasted. The first thing I focused on perfecting is coconut milk yogurt (she has asthma and doesn’t do dairy). I don’t know how often she makes herself yogurt but her roommates say she is a yogurt queen! My son and I have to negotiate when my IP is available because he makes yogurt in it all the time. He uses different milks and gelatin for his recipe. So far he hasn’t tried making anything else in my IP I’ve started making a no-boil yogurt in jars with homemade nut milk and protiotics. So easy! Love it! Question: I drummed into my daughter to always put in 2 cups water (well, 1 cup for her 6) and I remember that every time I use mine. But sometimes I wonder if 2 cups is really necessary when my product is kind of watery. I’m thinking of trying a baked bean recipe with the slow cooker function and that got me questioning whether the 2 cup rule is required when using the slow cooker function. That yogurt sounds great! How awesome! As far as the slow cooker function you don’t need that much liquid since the pot isn’t coming to pressure. Got my IP last summer, your blog is the only one I follow. Most of your recipes use ingredients I have on hand. I have a binder with your recipes printed out and categorized. Loved this ‘getting to know you’!! I am sorry to say I am not an instant pot user. Just seems too complicated, and so I appreciate when your recipes give the slow cooker adaption. Thank you Karen for all you do!! Donna, I have a 91 year old man that is learning to use the Instant Pot. You can too! It isn’t very hard, I promise. You just need to follow recipes. I had those big glasses and hair in the eighties. I joined your site late last year. I bought my IP 2 years ago. Since then many friends have purchased them from my influence. I still am amazed when I hear someone say “I hardly use mine”. There are days in which I use mine 3 times for different dishes. One lady spoke about storage. When I got mine I did away with crockpot and rice cooker. You won’t need either with the IP. I just purchased a second IP for our second home. I was tired of carrying my back and forth. I enjoy your posts and the personal nibits are a good touch. Thanks Mary! I agree with you…definitely worth it and easy to find the space for it once you realize how awesome it is. I am new to the Instant Pot. I found your site and love it. You explain things very well and are easier to follow instructions. I am on WW’s and would love alot of recipes for that. Love you e-mails. Thx for the wonderful IP recipes that I’ve come across on your website (newbee). I’m a ‘newbee’ and don’t necessarily ‘know how to operate it yet.’ I’m always amazed how some models have different settings/categories. I always need to know which IP that you’re cooking in because the settings are so very different depending on the multiple models. I have been following you since you had the “brackets of soup” competition for March Madness (how long ago was that?!?) & was one of your recipe testers (the delicious beef, mushroom, barley, & lentil soup). I coincidentally just made it yesterday–still absolutely delicious!!! Wishing you continued success. Thank you for all the yumminess!!!! Love your recepies ! I have The Crockpot Express multi 6qt at home and a 3qt Instantpot in our motorhome. Love them both and use them constantly.. I am Hungarian by birth and have converted lots of Hungarian recipes to the pressure cookers. I also have Psoriatic Arthritis and it is such a boon not to have to babysit the pots. Hi Judith, do you like the crockpot express? I haven’t tried that yet. 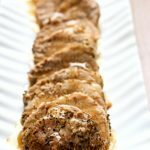 I am also Hungarian and looking for Hungarian recipes. We have mom’s recipes and could use hints on how to convert them to the IP. Where do I find your wonderful list of instant lot accessories? Hi Debra, I think you’ll really like the Instant Pot. I’ve seen people get really creative with storage solutions! It’s just two of us now and we both love it! It’s just the two of us now and I love it. Also, even though I try not to clutter up my counters, it lives there now. I just made your Insta-Pot Creamy Chicken Bacon Spaghetti. My wife loved it. I substituted broccoli (3 cups Cooked) for the spinach. I am fairly new to Insta-pot cooking. (about 3 months). I have made several of your recipes and they all tasted great. Thank you for having your blog and sharing. The broccoli sounds great! I will have to try that next time. Thanks for sharing! It’s so nice to know you better, Karen! I think I have you beat, though. My husband and I met Nov 21 and we were engaged 4 weeks later. Have been married 48 years, have 3 daughters, 10 grandchildren and a new granddaughter-in-law! I love your recipes and am so glad I found you. How awesome Carolyn! I love stories like this. So? 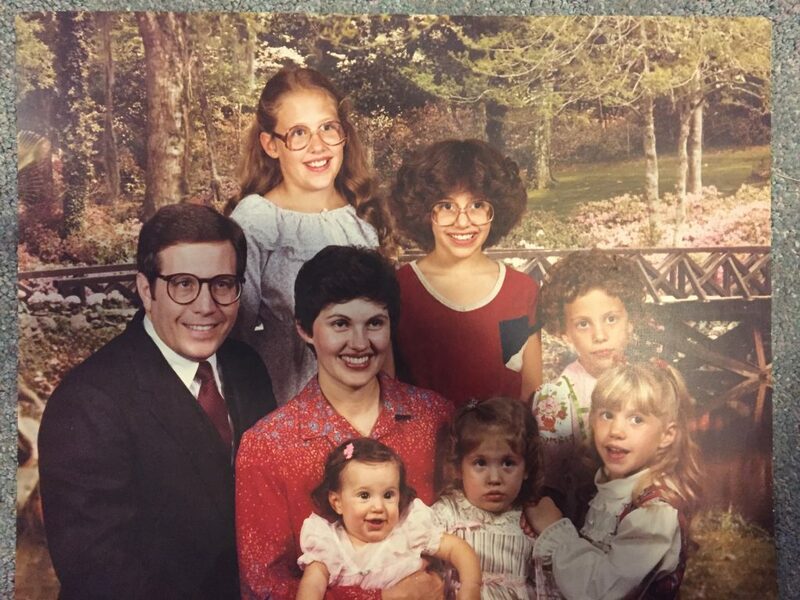 Which one is you in the family picture? I think the one in the red shirt. New to the Instant Pot. Thanks for the recipes as they give me confidence using it. Hi Paula, I’m the one in the front row middle. I don’t look too excited to be there. The one in the red is my sister Nicole and she and I share the same birthday! You need to share some of your hair with your husband. 🙂 It looks red, is it or is it the lighting? I assume it is, as the photo of your daughter shows that she has red hair also, as do I and one of my sons and my grand daughter. Ginger is great. If you notice, in most commercials that include children, the kids have red hair. The home of the Instant Pot. Hi Doug, it may be the lighting. We have more of a brown/blonde/colored hair color lol!! I read the email every time I receive it. Love my crockpots; and recently got a IP mini as a gift. Made myself a promise to use every other day. Have used a few of your recipes. Thank you. Getting the knack of changing some of my family recipes to instant pot. I LOVE your first cookbook and have probably bought at least 10 giving them to friends and family. My favoritest cookbook ever!! Thanks for all you do! Now I need to get brave and try my instapot. Jackie, you should try it this week. I bet you’ll really like it. Thanks so much for your support! I love your emails. I bought my Instant Pot this summer and am also in love with it. Love your videos!